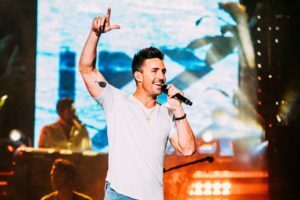 Jake Owen to perform at WCI 2019! We are excited to announce that chart-topping, singer/songwriter Jake Owen will be the featured entertainment at WCI 2019! With seven #1 hits, Jake Owen is sure to have you singing and dancing the night away! Multiple chart-topping singer/songwriter Jake Owen’s new single “Down To The Honkytonk” is rapidly climbing the Billboard Country Airplay charts. With seven #1 songs to his name, “Down To The Honkytonk” follows Owen’s fastest-rising career #1 single, “I Was Jack (You Were Diane).” Owen’s songs have resonated with listeners and audiences everywhere with 2X PLATINUM anthem “Barefoot Blue Jean Night,” PLATINUM-certified hits “Beachin,’” “Anywhere With You,” “Alone With You,” “The One That Got Away,” and GOLD-certified “American Country Love Song.” Owen’s fifth studio album, AMERICAN LOVE, debuted at No. 1 on Billboard’s Top Country Albums chart and No. 4 on the Billboard 200 all-genre chart. Signed to Big Loud Records, Owen is reuniting with award-winning Joey Moi, who helped produce his breakout Barefoot Blue Jean Night album, which landed at #1 on the Billboard Top Country Albums chart and garnered four consecutive #1 hits. Owen is gearing up to join Shania Twain as a celebrity panelist on USA Network’s Real Country, singing competition, premiering on Nov. 13th. For tour dates and more information, visit http://www.jakeowen.net. Maria Taylor Announced as WCI 2019 Keynote Speaker! The very talented and inspiring Maria Taylor will be the Keynote Speaker for the WCI 2019 conference! As a former volleyball and basketball player for the University of Georgia, Maria Taylor is currently an analyst, host, and reporter. We can’t wait to hear her speak in August! Maria Taylor is in her fifth season as an analyst, host, and reporter for ESPN. In 2017, Taylor became the first black female to co-host College GameDay Built by The Home Depot. Taylor was also tabbed as the sideline reporter for ABC Saturday Night Football and patrolled the sidelines for the 2018 College Football Playoff and National Championship Game. She previously served as the first female host of SEC Network’s traveling college football show SEC Nation, alongside analysts Tim Tebow, Marcus Spears and Paul Finebaum. In addition to her football duties, Taylor is a host of Big Monday and NCAA Women’s Final Four and National Championship studio coverage. She also serves as a sideline reporter for Saturday Primetime covering men’s college basketball. Prior to her role on SEC Nation, she helped launch the SEC Network as one of three studio hosts and worked as the SEC Saturday Night college football reporter with commentators Brent Musburger and Jesse Palmer. In 2013, she was the sideline reporter on ESPN2’s weekly Saturday night primetime college football telecasts and covered the BCS Orange Bowl in consecutive seasons. Additionally, she has been an analyst for the NCAA Women’s Basketball Tournament Preview Show, as well as for ESPN’s coverage of both the NCAA Women’s Basketball Tournament and Women’s Volleyball National Championship. Prior to 2012, Taylor was a reporter and host for IMG College at the University of Georgia. She also appeared on various Comcast Sports South studio shows including Dawg Report, SEC Men’s Basketball Tonight, and SportsNite. Taylor attended the University of Georgia where she played volleyball and basketball for the Bulldogs. She was named to the All-SEC volleyball team three times and was also a member of the USA A2 National Volleyball team. She graduated from Georgia in 2009 with a degree in broadcast news. She returned to the University to pursue her Master of Business Administration which she completed in May of 2013. She is a native of Alpharetta, Georgia.